I knew nothing about Hot Logic when they approached me and asked me if I would be willing to review their product. Macrowave oven? What is that? I had no idea what to expect, but I was excited to give it a try! Once I had it in my kitchen I was pleased with the fact that it is very compact. Yet it's four shelves give you tons of room to cook several dishes at once. I tried different packaging and was really pleased with the results. The only time I had a problem was when I didn't pay attention to the instructions and used a container that was not completely flat on the bottom. Other than that it was smooth sailing. The Hot Logic 400 is the ultimate in slow cooker technology! It does all of the work for you while go about your day to day life. It is so easy! 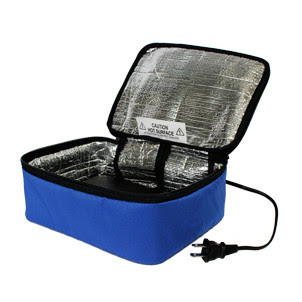 It will heat your meal slowly and evenly, unlike a traditional microwave oven. It preserves the moisture, enhances the flavor and extends the hot hold time so when you are ready, your meal is ready. The Hot Logic 400 uses less energy than a microwave and is more sanitary than a microwave because meals are cooked in a sealed container. The slow, even, heating stops all of that messy splatter and exploding food! Now you can make those meals ahead of time, freeze them, and then just pop them into your Hot Logic 400 as you go about your work and play. When you come home you have a fresh, hot, flavorful meal ready to eat. I can not stress how easy it is to use. All you do is plug it in, turn it on, wait for the smart shelf to turn red, and you are ready to go! No difficult programs to learn or remember. That is HUGE for me. Plus the Hot Logic 400 saves you money! No need to go out for expensive dinners when you can pop your meal into the Hot Logic on your way out the door and come home to a meal ready to eat, and it is energy efficient. It costs less than a penny per meal to operate! A reader just pointed something out to me. 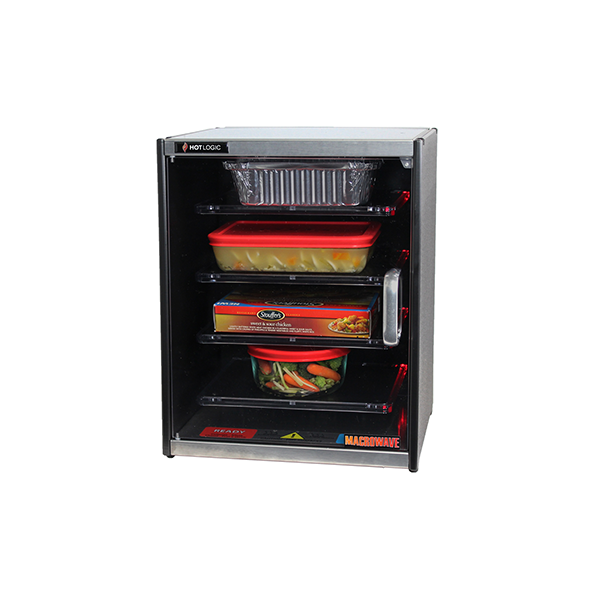 With the holiday season upon us, the Hot Logic 400 would be absolutely perfect for reheating those leftovers. 4 shelves to place your potatoes, turkey, gravy, stuffing on, and in 45 to 90 mins you will have a hot, MOIST, flavorful meal done all at once! I also took the Hot Logic 400 to my friends salon and let her use it for a few days. Her employees all loved the fact that they could bring their lunch in and just slide it on into the oven knowing that their meal would be ready for lunch, no matter how long it might be. She is now thinking about buying one of the food service sized ovens for her shop so they can all have room for their meals. Now, I am super excited to tell you that Hot Logic has given me a Hot Logic Mini to give away to one of my lucky readers! 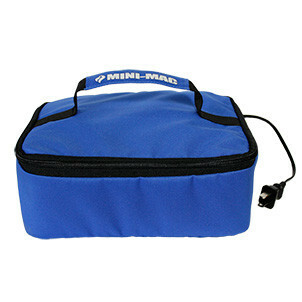 How would you like to take your lunch to work, place it in your Hot Logic Mini, plug it in, and when you ready to eat have hot meal that is not dried out or tasteless like a microwave meal would be? Just like with the Hot Logic 400, you just need to make sure your food is in a flat bottomed, sealed container. OK now on to the fun stuff!! Let's giveaway a fabulous Hot Logic Mini to one of you!! Contest will go from 9/18/2013 to 9/25/2012 and is open to US citizens only. Pending verification of entry rules, the winner will have 48 hours to respond to email or a new winner will be drawn. Disclaimer: I was provided a Hot Logic 400 Macrowave Oven to use and review, and a Hot Logic Mini to give away. OH this is wonderful! I have never heard of these before now! I would love to try it too! Busy mom with a toddler here, and that would be fantastic! Oh these would be perfect for you!! Yes, I fell in love with them! Your food just comes out so perfect. I really don't like heating anything in the microwave. Choose only one feature?! That's difficult. There are several that make this a great product. I love that there are four shelves. I like that fact that it's energy efficient. And then the part about no programming -- that's great too. Looks like a terrific product. The no programming is huge for me. We have lived in our house for a year and I still don't know how to program the microwave!! I've never heard of these before, looks sweet :) We hold a lot of family get-togethers over the holidays, this would definitely come in handy! WOW how did I not think of that. It would be perfect to reheat leftovers. Pop them in and in 45 to 90 mins you have hot MOIST food for your meal, all ready at once! Just added that info to the review. Thank you!! You are welcome! Microwaves serve the purpose of fast and easy, yet you sacrifice quality and taste. Nice to use a better tool than microwave.....yes! LOL Yes we refer to it as "Chef Mike" but I usually use it to warm up my coffee or tea and that is about it! I love the slow, even, no microwave, cooking! I think it would be great for my husband to have in his dealership office! I shudder to think of all the fast food they must consume! Yes, same here, my boyfriend is a mechanic and they eat fast food ALL of the time!! This would be so great for my office - we all bring our lunches every day but have to heat them up in the toaster oven. This is a whole lot more efficient!! Yes I think they are awesome for an office setting and they have even bigger ones as well! I like that it's a multi-level slow cooker, so you can slow cook many foods at once. I agree, it is one of my favorite aspects of the 400. A slow cooker oven... how great this would be for someone like myself who refuses to use a microwave oven. I have probably 6 slow cookers. One of these would replace all of those. Why didn't someone think of this years ago? Because I have digestive issues, I have to cook different meals for myself than for everyone else. This would be so much easier than the way I am doing it now. Yes it would be perfect for you Terry! Well Bobbi I have to say that is cool as spit! What a great way to have hot food at work, at home and compact, super easy to use. WOW great review and product. Perfect for working busy moms. Thanks Dawn. Yes, I wish I could have had a mini as well. But love the 400! I love how compact this oven is and how well it prepares food. I have limited counter space in my kitchen so this one would fit perfectly. Yes, my kitchen is small and I was afraid it wouldn't fit on the counter, but it fits perfectly! What the heck is THAT? I sorta, kinda, TOTALLY love it! I know, I had never heard of it either. Now I love it! I love that you can use such a wide variety of containers in it. That's amazing! Yes, I used plastic, metal, and glass in it. WHOA! I have a family of six, and we all eat at different times. Everyone is running in and out and having therapy, doctors appointments ... and let's face it. Sometimes? Okay ... Okay, a lot of the time I am WAYY too tired to even let my hair down before bed, let alone cook some 5 course meal. THIS is awesome! I can cook all weekend, and freeze up individual servings and they can reaheat them! Not to mention we can produce 4x the variety of food in one go! Dinner problems solved with the Hot Logic 400! The Hot Logic Mini too! Like this product line needs any sprucing up?! Sooo cool! At work, the microwave is always in use, never clean and ... well, let's be honest ... it makes food taste like the dried out box it came in. I'd LOVE one of these babies to tote to work. I'd be like the lunch-whisperer ... sigh, one can dream! =D Thanks for the opportunity! You hit the nail right on the head with this product. It would be perfect for someone like you, and the mini is great for all the reasons you listed. Good luck!! Wow they actually sent you a microwave oven? That's awesome! I know it's quite pricy around these parts of the world, so you have some great stuff there reviewed. Yes, I was very honored that they sent me such a wonderful product to review! Slow cooker oven, who knew, I like it a lot. I know, who knew? Glad I do now! What a brilliant idea! We don't have too much counter space, so this is perfect! Yes, it is great for a small kitchen! Yes, the only thing that is "good" if you can say anything is, about a microwave is that it heats quickly. But you sacrifice, quality and flavor. This macrowave heats slowly, but retains the moisture and flavor. Yes, I can't wait until the holidays!! I agree, it is just one of many reasons I love this oven. Wow! I have never seen anything like this! Thanks for sharing, I will have to check this out! Yes, have a look, I think you will really like it! My favorite feature is the simplicity. Just turn it on and go! Yes, I hate when you have to push a million buttons to program something! That is one huge microwave! Wow! Never knew they would get lots of layers. It is actually what they call a "macrowave" it heats completely different from a microwave. Yes, I love the multiple shelves! I like the layers. I always have trouble getting a bunch of dishes done at once. This looks like a perfect solution! Yes, I always have trouble getting everything done at once!! I had never heard of a macrowave before. We don't use our microwave often because we don't like how it cooks food, but the Macrowave sound wonderful! I love that it is portable, which is perfect for bringing hot dishes to parties. The mini is sized more for a lunch size dish. Bu a small casserole dish might fit in there. I am in love with how easy the Hot macrowave mini would make my husband taking lunches to work! He has a microwave there, but this would be even better cause then he wouldn't have to combat with the other employees for microwave time on his short lunch break. His lunch would be ready at the perfect time. I love this idea! I love that the regular Macrowave oven also lets me get all the Thanksgiving leftovers ready at the same time! LOVE it. This is amazing. What a great way to take care of a full meal without having to use separate pots. I love the 4 shelf feature. It is perfect for people that like to cook ahead and freeze food, have a lot of leftovers in the fridge, or use the frozen store bought meals! Yes, it would be great for a large family!! Niice! I would love to give this try looks real interesting. I hope you entered the drawing so you get a chance to try it. awwwww wow!! that looks great!! Yes, I really love it! I would love to have the Hot Logic 400 I love that it is so effective and has 4 shelves. I find that really nice. Yes that is a great feature of the oven. It is actually a macrowave oven. So it doesn't cook quickly like a microwave. But it keeps your food moist and retains all of its flavor so it doesn't taste like cardboard when it heats up. Wow what a cool unit!!! I have never seen anything like this before. I want I want I want!!!!!!!! Good luck in the giveaway!! I love that the mini is portable. Not sure if I would ever have a need for the mini but I could sure do with the 400. 4 shelves? That is awesome! The 400 is great for a family! It is the US only for the giveaway, but you can purchase one of the units. I have never heard about this before, but am glad I read about it. I don't work outside of the home, but my daughter does and would love to have warm meals instead of a cold sandwich for lunch. Yes I love the lunch use for the mini. Never heard of it, but glad I came across this. It would be perfect for my family as a quick way to prep dinner! The oven doesn't cook quickly, it is a slow cooker kind of thing. But it is perfect for a family that wants to be able to put several dishes in the oven in the AM or early afternoon and have them ready at dinnertime. It is more of a slow cooker. But it is great for the times when you want several dishes ready at dinner VS just one that you would have with a traditional slow cooker. Yes, I agree, it is an update and much better idea than a traditional slow cooker. This is such a brilliant idea, super cool product! I would like to get one for my hubby, too! Did you enter? I hope you did and good luck!! Love the idea of Hot Logic Mini. Would love to have one.. Thanks for the chance to win. This would be SO handy during the holidays. RF diathermy? I wonder if it works with inductive cookware. How do I enter the give-a-way contest? Hi Deanna the contest ended yesterday. Sorry you missed out but I will have a new giveaway coming soon!! Can you cook raw food in it? Or just frozen/already cooked food? The meals must be frozen. They can be pre-made frozen, so they are raw foods, but must be frozen. As far as upkeep, it is anything but difficult to clean these ovens since they have stainless steel insides.